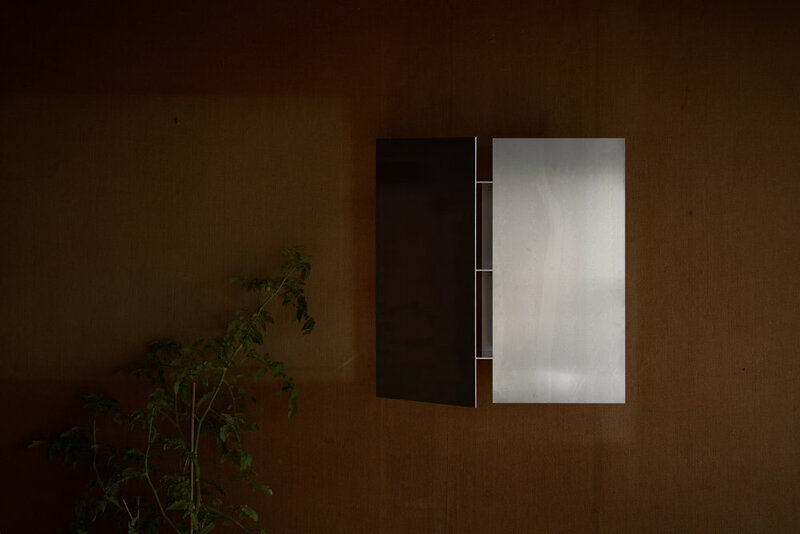 Untreated aluminium cabinet. Individually numbered and engraved. 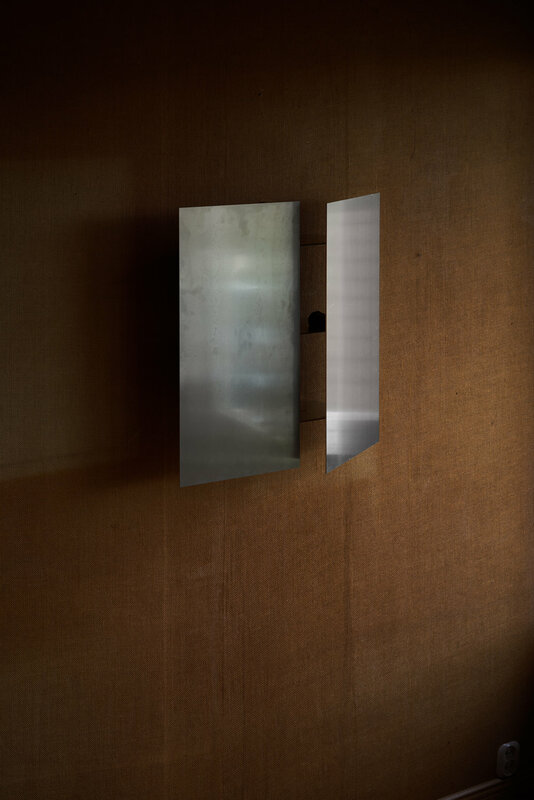 Sheet Cabinet explores the relation between hiding and exposing stored objects by changing the angle of the front sheets. 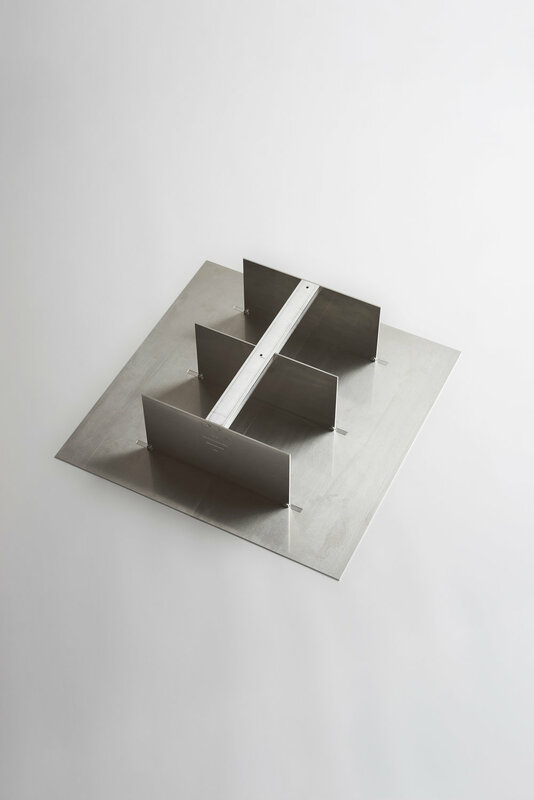 The positioning of the hinges allows the doors to revolve in a 90 degree rotation from front to side edges, always remaining open from one or two sides. 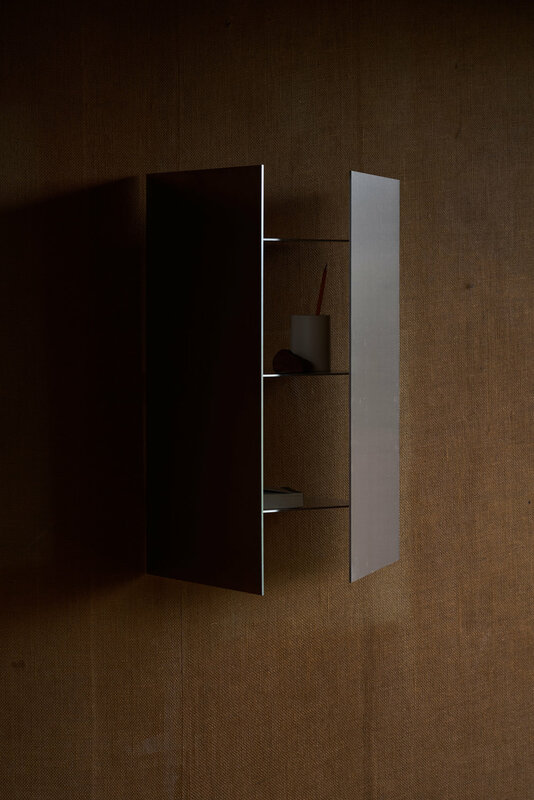 With a subtle hand movement the cabinet changes its sculptural expression, raising the question if it`s a shelf or a cabinet. The finish of the material adopts its surrounding depending on time of the day and positioning of the doors, making you aware of the moment. 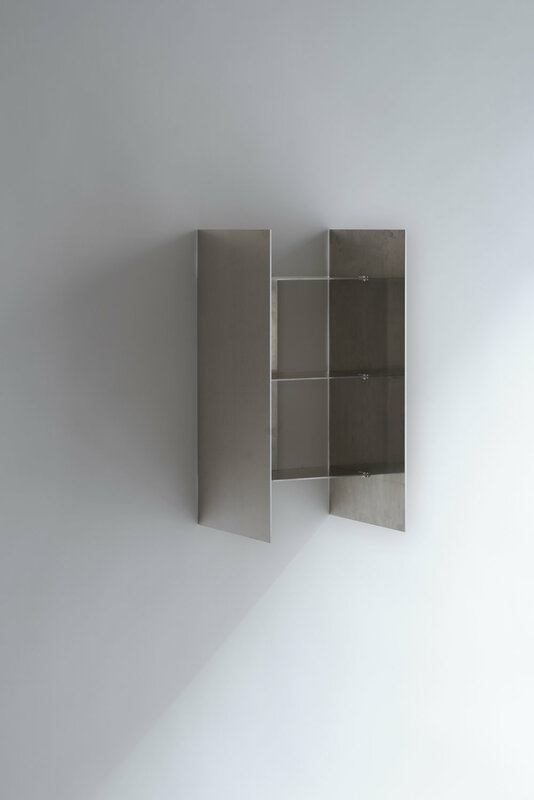 The cabinet were first exhibited at the Norwegian exhibition “Everything is Connected” in Milan 2017. Launched for A part in 2018. Bjørn van den Berg (b. 1988).